Music for a Summer’s Day: Sunday 10 June | Music Matters | Because it does. Doesn't it ? 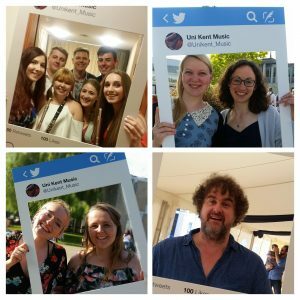 The annual Music Society concert, Music for a Summer’s Day, is now just ten days away, and it promises to be the usual roof-raising summation of both Summer Music next week, as well as of another fine year of music-making at the University. The occasion will be capped by cream teas (included in the price of tickets) in a marquee overlooking the slopes towards the city, with commanding views of the Cathedral on what we hope will be a fine summer afternoon. Details about all the events in Summer Music online here, plus details of tickets for the Sunday concert. To whet your appetites, here’s the spritely Mozart: perfect for a summer’s day. Is this event not on Saturday 9th June? Hi Jacquie; this year it was, however back in 2012, the post on which you’ve left your comment, it was indeed on Sunday 10 June!